Edwards: ‘What kind of fighter do you want’ in Senate? 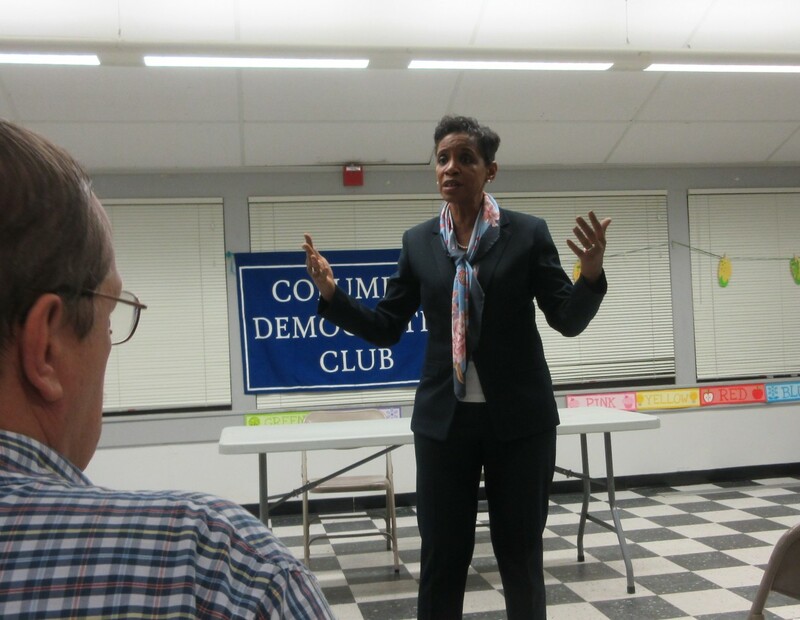 Rep. Donna Edwards at the Columbia Democratic Club. Like many a single mom from Prince George’s County, Donna Edwards is working two jobs these days — representing her constituents in the U.S. House of Representatives and running for the U.S. Senate. 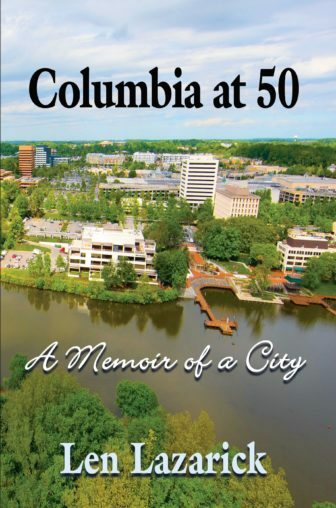 Last week, she clocked in 90 hours, she told MarylandReporter.com before her talk at the Columbia Democratic Club Wednesday night. She gets up most days “not too early” at 5:30 a.m., and that night she headed home at 8:30 p.m. for the long drive to Fort Washington after speaking to about 30 people. At least one was already sporting a sticker for Rep. Chris Van Hollen, who is also seeking the Democratic nomination. “You’re not going to get someone who’s going to replace Barbara Mikulski,” retiring from the U.S. Senate after 30 years, Edwards said. Mikulski has “mini-shoes” and “I’m a size 10,” so she can’t fill her shoes. She was the first African American woman to represent Maryland in Congress — that there hadn’t been one before surprised her at the time. She beat an incumbent African American Democrat in the 2008 primary, Rep. Al Wynn, to do so. In her four terms, Edwards has been more of an outsider on the Democratic left, while Van Hollen, serving his seventh term, has been a member of Democratic leadership, chair of the Democratic Congressional Campaign Committee, and ranking member on the House Budget Committee. Elaborating on some policy differences with Van Hollen, Edwards said she “never wavered on Social Security and Medicare,” while Van Hollen worked on a budget deal that included changes on Social Security. “I don’t think Social Security has anything to do with the budget,” she said. It can be made solvent for the long term by lifting the cap on wages covered by the payroll tax. The two also have “significant differences on trade.” She said the Trans-Pacific Partnership trade deal “gives me great concern on so many different levels.” Among them, there are no rules about foreign currency manipulation, no enforcement of U.S. standards on food imports, no protections of labor rights in foreign trade partners, and no more requirement to Buy American for government agencies, which she called “a disaster” for small business. Actually, according to an analysis and chart produced by PolitiFact, sometimes there have been job losses after the federal minimum wage was raised, and sometimes there have been increases in jobs. Van Hollen also supports increasing the federal minimum wage, but his economic plan does not say by how much. Maryland’s minimum wage goes to $10.10 in 2018. In Montgomery and Prince George’s counties, it goes up to $11.50 in 2017. One black man in the Democratic club audience told Edwards, “I have my reservation that Maryland will elect a black person,” because of the loss of Democrat Lt. Gov. Anthony Brown to Larry Hogan last year, and Kweisi Mfume’s loss to Ben Cardin for U.S. Senate in the Democratic primary in 2006. “I think it’s a white state,” the man said. Edwards disagreed, attributing those losses to candidates and campaigns not working hard enough. The only two African-Americans ever elected statewide in Maryland were two Republican lieutenant governors, Michael Steele in 2002 and Boyd Rutherford last year.